Today’s modern air gun will be able to deliver its maximum shooting potential and remain damage free for a long period of time if is correctly and properly maintained. If you ignore the maintenance of an airgun and just neglect it like most of the shooters do, that will inevitably lead to weaker power of the air gun, loss of accuracy and ultimate breakdown of the air gun. We want to point out on the main things that you should keep an eye on when taking care of your air gun and give you some tips on for best air gun cleaning practices. 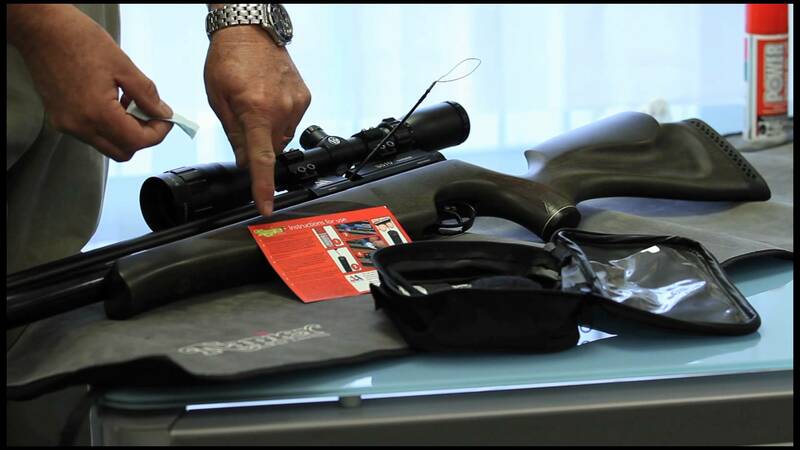 Improper lubrication of the airgun can cause serious damage to the air gun and very likely injure the shooter and bystanders. The compression chamber of the air gun is that portion of the receiver where the actual air compression takes place when the pistol moves forward in shooting. The pistol seal of most modern air guns is made of synthetic material that is self-lubricating. The air gun should be only lubricated during routine maintenance process performed by an authorized service shop. The mainsprings are the storehouses of the energy provided by cocking the air gun. To expand smoothly with as little friction and vibration as possible, they should be lubricated only infrequently. Velocity and smoothness too can be improved by simple but careful treatment. The mainsprings of recoilless guns need only light and infrequent lubrication, and this lubrication preferably should be done by an authorized service shop, that is if you’re not already an airgun expert yourself. 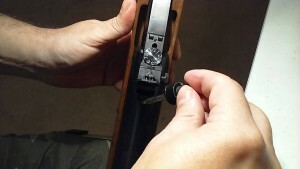 The cocking lever linkages of an air pistol receive considerable pressure so proper lubrication insures smooth operation and minimum wear. 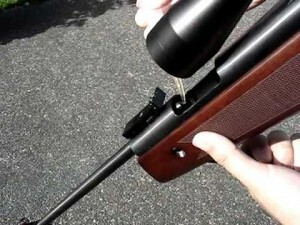 Polishing and lubrication of all surfaces of the airgun is very critical for maximum performance. Since airguns do not use powder or primers, cleaning is not necessary to prevent most rust, however it is essential for a good accuracy, and it is recommended to use a quality product specifically designed for airguns. Air gun’s accuracy suffers badly due to caked grease residues blown into the bore from the compression chamber and from leading. Most accuracy complaints are coming as a result of dirty bores even though they may look clean. For storage clean the bore and leave it with a light coating of airgun oil. After cleaning follow with dry patches until no trace of oil is seen. When you put pellets in your airgun, make sure they are only high quality pellets to in order to avoid harmful oils and abrasiveness that will cause gun wrecking. Precision adult air guns are created to use only with lead pellets. Steel shot or darts generally injure the air gun’s bores. Properly seated pellets should not have any rub marks on the rear of the skirt if breech is reopened prior to firing. Damaged used or unauthorized projectiles may be unsafe. Plastic jacketed projectiles may cause a dangerous ricochet, excessive piston impact and excessive penetration. It’s important to understand that most air guns do not require regular cleaning. In fact, unlike traditional fire arms and other weapons which are subjected to carbon deposits from gun powder and metal fillings from jacketed bullets, an air gun barrel can often go thousands of shots without ever needing to be cleaned. Cleaning of the air gun depends on the type of gun that you are using. Air guns that have brass barrels like the multi-pump pneumatics will not fall prey to lead deposits, that means that they never need to be cleaned, in fact cleaning a brass barrel may cause more harm than to cause good. Air guns that are used for shooting with a great velocity of less than 800 feet per second rarely have the need to be cleaned, for example Olympic target air guns that shoot between 400-600 feet per second almost never need to be cleaned. If you are using pure lead pellets, unless your gun velocity is more than 1100 feet per second the barrel will probably remain free of any deposits. Some other hand hard lead pellets with antimony may leave deposits and light weight synthetic are one of the dirtiest of all types of pellets, requiring you to regularly clean your steel barrel. The best way to know if your air gun needs some cleaning is if the accuracy is affected. If you notice that your target shooting is not quite as dead on as it once was, that might be a good time to think about inspecting your barrel. 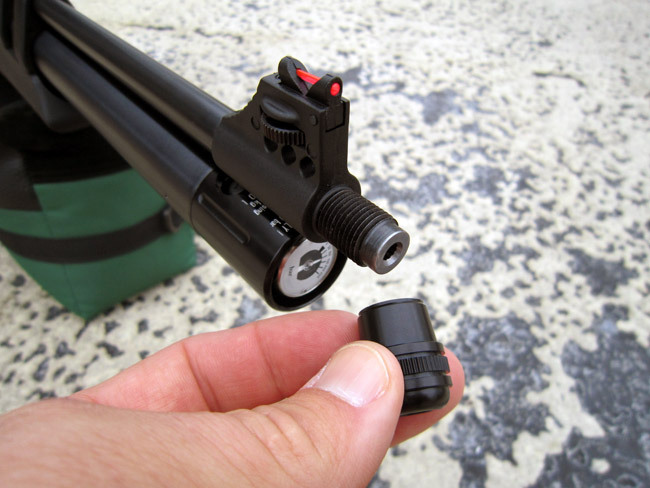 Cleaning the barrel is not the only type of regular maintenance needed, all air guns are different and depends on what you are shooting for example: Spring piston, pre-charged pneumatic, multi pump pneumatic. Various methods of oiling and maintenance exist in order to ensure your gun is receiving the care that it needs consult the owner’s manual. What kind of oil you must use is the question that you need to ask yourself as air gun owner. In this instance there isn’t just one answer. The right oil for airgun is very high flashpoint, so it isn’t prone to explode when subjected to high pressure. In some cases there are oils that caused an explosion, and some persons unfortunately were killed when the PCP reservoir has exploded. The person had apparently introduced regular household oil into the reservoir, in other hand safety oiled PCP tanks hundreds of times with a couple drops of Silicone oil through the air intake port. When the air blows in the oil than is atomized it gets on all the sealing surfaces inside the reservoir and valves. The right oil to use in a PCP reservoire is a silicone chamber oil. When purchasing an air gun, a manual will be included in your air gun package. The information and instruction in the air gun’s manual is being carefully prepared and written by highly train experts and professionals. Which means that they have extremely good knowledge and expertise about your air gun. Do not rely on some “advice” of “experienced” shooters and do not imitate them. This article’s purpose was to help you better understand the importance of air gun cleaning and what to keep an eye on. Shoot sharp and keep reading our guides for more best tips guides.